What is a Florida Month to Month Lease Agreement? 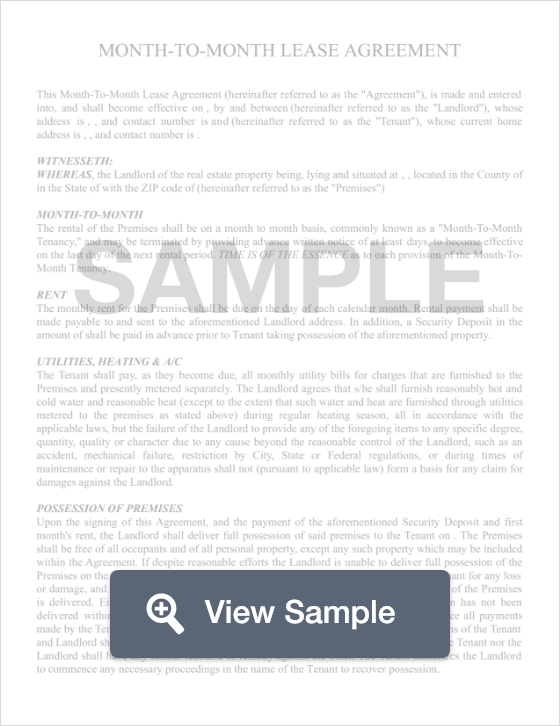 Florida Month to Month Lease Agreement: What Is It? In the state of Florida, a month to month agreement serves as the legal paperwork that officiates the mutual agreement between a landlord and a tenant. This type of lease agreement can be beneficial for both parties as it offers great flexibility and does not require a long-term commitment. A month to month lease agreement will contain all of the terms and agreements on the lease. This information includes important terms such as rent amount, its due date, as well as provisions and rules of tenancy. Once a month to month lease begins, it will renew automatically at the beginning of each month unless it is canceled by either the landlord or the tenant with sufficient notice according to Florida law. According to Florida state laws, a tenant or landlord must notify the other party of the termination of the lease no less than 15 days before the lease is set to terminate.